When children are at risk with their birth parents, TCJFS first looks for safe relative/kinship placement. When a relative/kinship placement is not available, TCJFS makes every effort to place children in a substitute care placement that best meets the needs of the children, but yet is in the same community/school district. Speedier reunification of the children with their birth family can occur when children are placed in close geographic proximity to the birth family. have the capacity to deal with the reality of saying good-bye to children leaving foster care (for whom they have grown to love). Removal from birth families is a difficult journey for our children. Dedicated, skilled, and compassionate foster/adoptive families are needed to help our children through this experience. Tuscarawas County Job & Family Services jointly licenses all foster care/adoption applicants. The geographic area within which the agency conducts adoption homestudy assessments for families wishing to adopt domestic children with special needs is Tuscarawas, Holmes, Carroll, Harrison, Stark, Coshocton and Guernsey Counties. Families wishing only to adopt children under age 10 and/or children from other countries will be referred to private adoption agencies specializing in those adoptions. On a case-by-case basis, TCJFS may provide adoption services to foster families of other agencies (who are not approved as adoptive parents) and who live outside the designated geographic area, when they express the desire to adopt a child in the permanent custody of TCJFS. Must have attended a TCJFS Orientation meeting (which are held monthly). The Orientation Meeting schedule is available on our website. 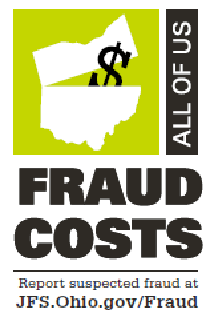 A records check of Ohio child abuse/neglect investigations will be conducted. An Authorization for Release of Information (SS112), available on our website, is used for this purpose. Take first aid/CPR training, and training with Car Seats. Complete an Inquiry form, online or by calling 330-556-6722. Attend an Orientation Meeting, the schedule is available on our website. Sign an Authorization for Release of Information (SS 112), so that a records check of Ohio child abuse/neglect investigations may be completed. Attend Pre-Placement Training, the schedule is available on our website. It is generally offered each fall, during September and October. Complete Application for Child Placement (JFS 01691), which can be requested from our agency. Once your completed application is accepted by TCJFS, you will be sent a packet of forms, including an outline for each parent to complete an autobiography. TCJFS completes local police checks, and BCII and FBI checks for each applicant and adult household member. To get more information, call Placement Services at 330-556-6722.